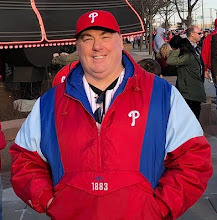 I wrote about Thomson’s contributions last August here at Phillies Nation. In that piece, I quoted Yankees’ general manager Brian Cashman as reported originally by NBC Sports Philly’s Jim Salisbury: “He’s tough. He will be brutally honest. He’ll say what a player needs to hear, not necessarily what a player wants to hear. And he’ll always relate well to players because he always has their best interest at heart. The Phillies got one of the best." Originally published at Phillies Nation as "Rob Thomson named to the Canadian Baseball Hall of Fame"